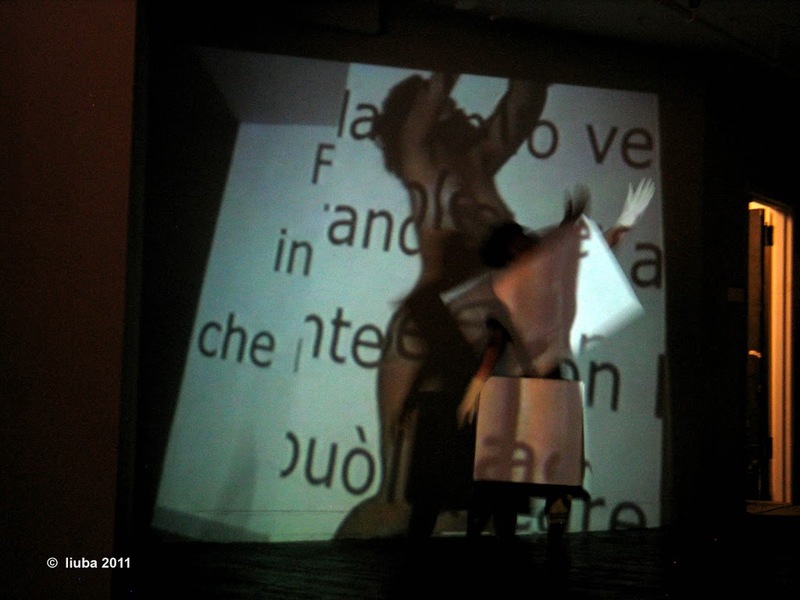 The piece is a ‘duet’ between live performance and video projection. 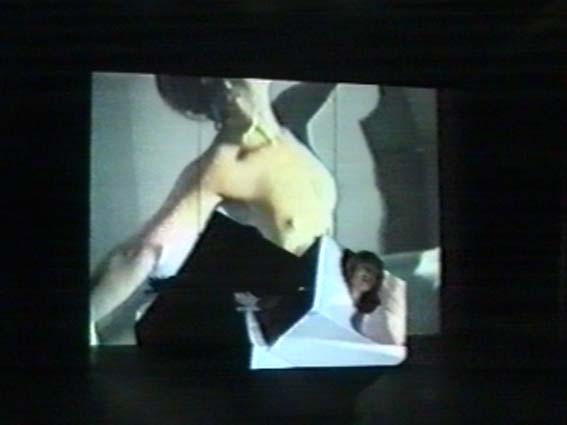 Both the video and the performance begin with the artist sealed in two big white boxes that tie her in and block her movement. 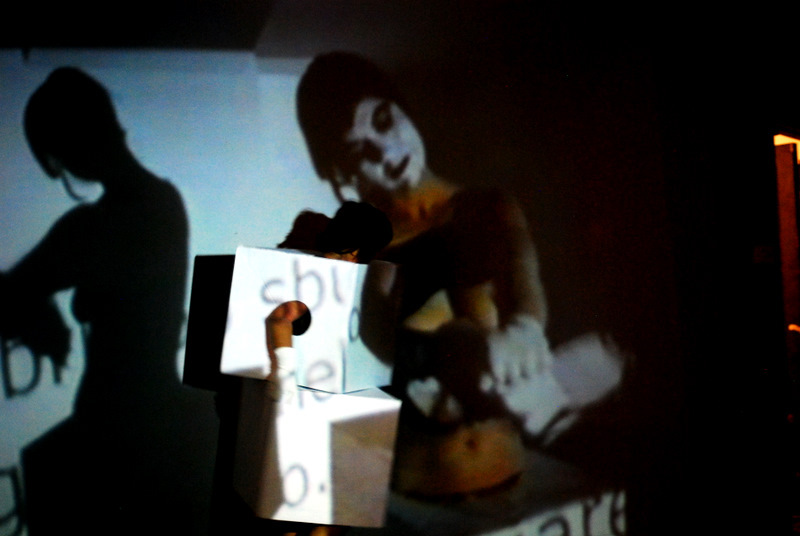 It is the imprisonment of a contemporary human being in boxes of duty, ideology, hypocrisy, and expected behaviours. 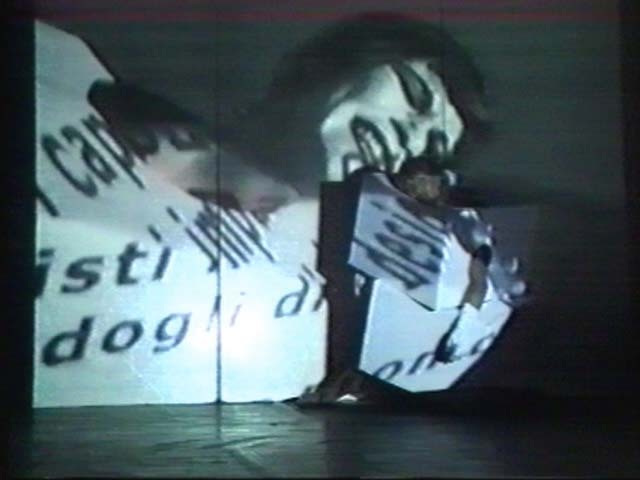 Then, the action in the video is a progressive liberation of these conditions through the destruction of boxes and masks. 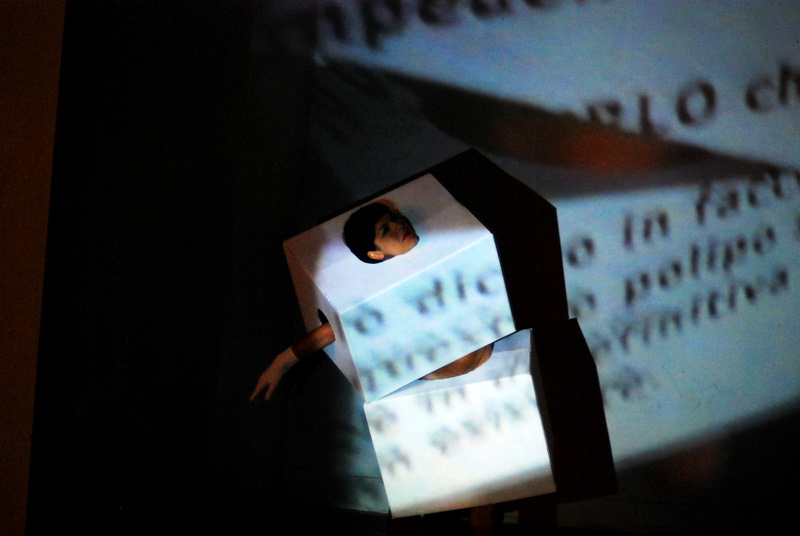 On the contrary, in the live and ‘real’ performance, the artist struggles and suffers without getting rid of the boxes, a condition that often represents the reality of our lives. 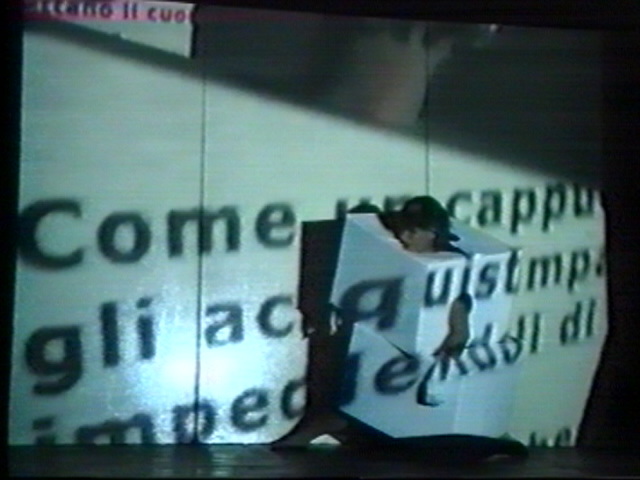 The ‘exit’ from the boxes is not possible in the real world, but only in the ‘virtual’ one.